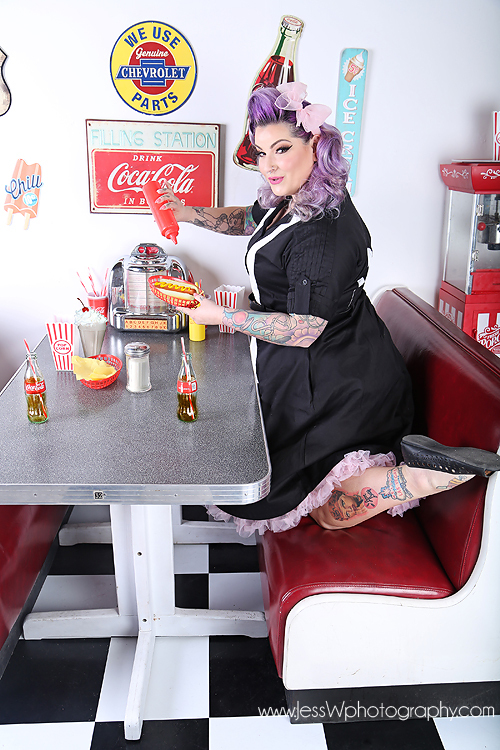 Book your session in the super fun Brand new 1950’s Diner set at Jess W Photography Las Vegas’ Premiere Pinup studio. Email Jesswphotography@gmail.com To book your session in this fun one of a kind set. This set will be available to book during the Viva Las Vegas Rockabilly Weekend event his year as well!